1. 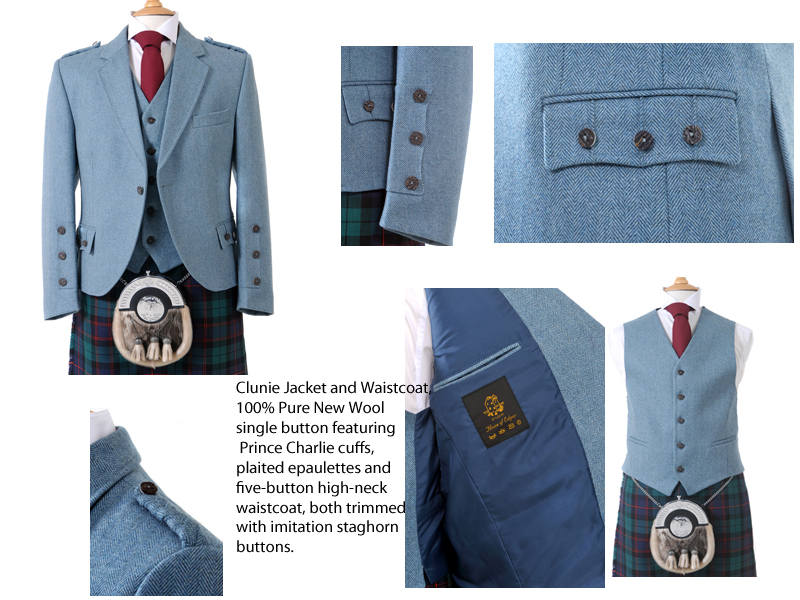 Lovat Blue Tweed Jacket & 5 Button Waistcoat. 2. High Quality 8yard 16oz Kilt in your choice of tartan. 3. Semi Dress Sporran and Waistchain. 6. Kilt Socks (Black,White,or Charcoal )..(n/a to hire). 8. Real Sgan Dubh (n/a to hire). *ONLINE BONUS* We are now adding both Black AND White shirts, 3 colours of socks, and 3 colours of Ruche Tie to this purchase deal, to allow you to rotate your look ....At no extra cost !! !